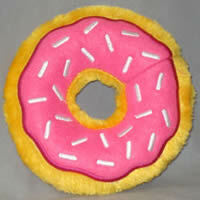 The Donut Toy is great for playing tug and fetch with any size dog! Flavor: Select One "Chocolate" "Strawberry"
These great toys for your small dog look good enough to eat! 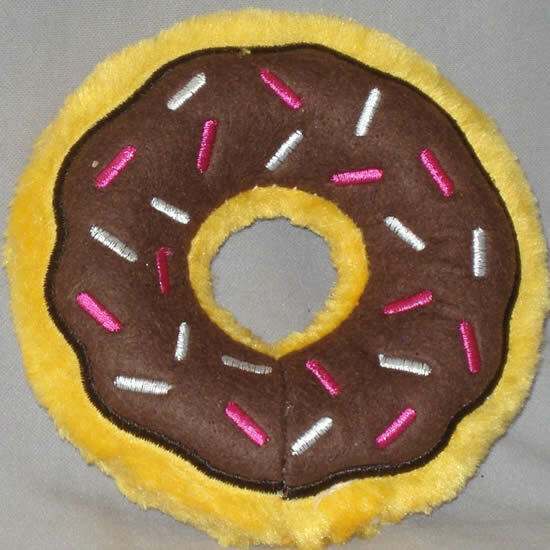 You and your pup will enjoy playing tug and fetch with the Zippy Paws Donut Toy. This fun toy squeaks but has no stuffing! The squeaker is a unique ring-style that gives the toy its shape. And when you shake the Donut it rattles! The Donut is soft plush and all the designs are embroidered. and Zippy Paws toys are quite durable! 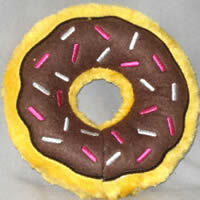 The Donut measures 5 1/4 inches total in diameter and the "Donut hole" is about 1 1/2 inches in diameter. The toy is 1 1/4 inches thick, so it's great for any size dog! 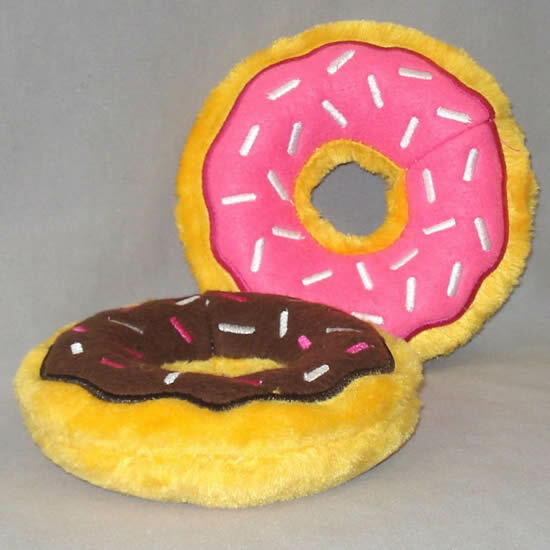 The Donut is available in "Chocolate" or "Strawberry." As with any toy, please supervise playtime. 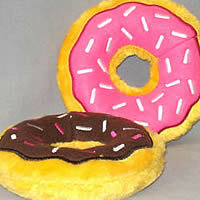 "Donut Toy,,,best toy ever,,,bull dog loves it,,,unbreakable"